Did you know that 94% of marketing executives say personalization is critical to reaching customers? Marketers that deliver personalized experiences see double digit returns in engagement and campaign performance. However, this puts a burden on the marketing team to produce the massive amount and variety of content required. 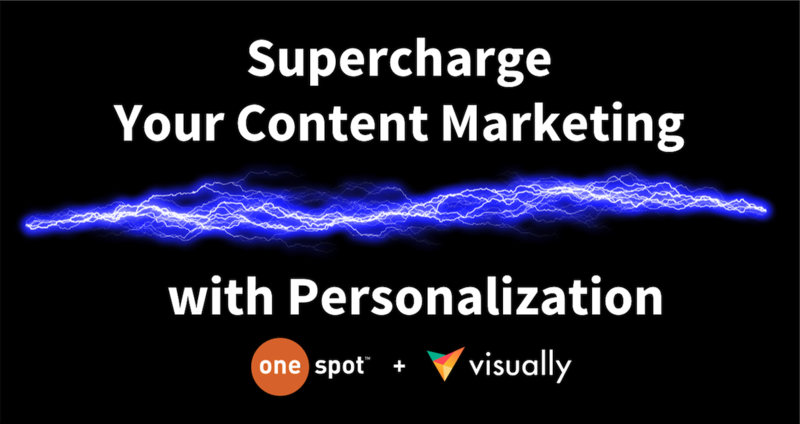 Hear from OneSpot and Visually on how to get personal with your marketing and meet the demand for the sheer volume of content required to execute a successful personalization strategy.